A few weeks ago I told you about Public Health, and what it is as a field of work or study. I thought I'd talk a little more about why I decided to get a Master's of Public Health, and what it took for me to get there. This is going to be a very text-heavy post! 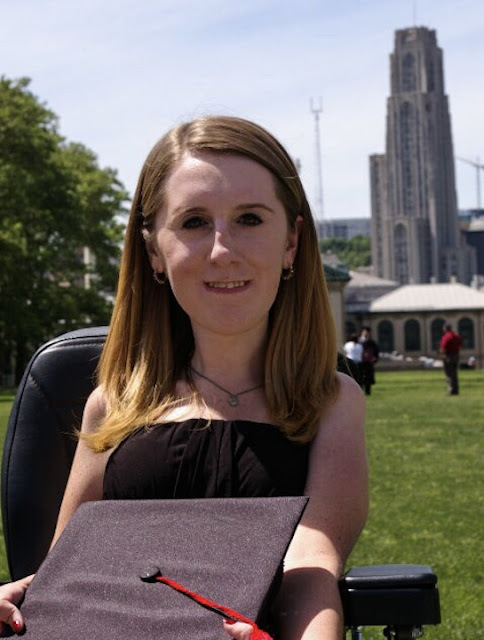 I went to Carnegie Mellon University as an undergrad, and studied both Mechanical and Biomedical Engineering. I definitely got an amazing education, and I learned so much - but I really struggled during my first few years there. I didn't really know how to study well - I had never been challenged at this level before - and even the introductory engineering classes were much more difficult than anything I'd ever seen before. I did not do well my first semester, and it was really an uphill battle for me after that. I learned that I was definitely more interested in the biomedical side of engineering than the mechanical when I added it as a second major in my sophomore year, but at CMU, you couldn't choose biomedical as a primary major - it could only be an additional major. So I decided to stick it out, and I with the help of summer classes, was able to graduate on time. I wasn't exactly sure what I wanted to do - I didn't really think I wanted a straight engineering job, but I also didn't want to go straight to a master's degree. I was incredibly burnt out, and couldn't stomach the thought of any more exams or problem sets. I feel incredibly lucky that one of my summer internships was research based, because that definitely sparked my interest in research. I really think that my internship experience helped me to get my current job in public health research, and this job has opened a whole new career field to me that I didn't even know existed previously! But still, for the first few years out of college, I wasn't ready to go back to school - I was still too burnt out. Eventually, though, I realized that if I ever wanted to go back to continue my education, the window of opportunity was closing - I would value my time off work too much to ever give it up for classes and homework! So I decided to take the plunge and apply for my MPH. It certainly helped that since I was a full-time university employee, they would pay for a significant portion of tuition costs at the same institution as a part-time student - it was too good of a deal for me to pass up. Being a full-time employee and part-time student hasn't been easy! I had a medical issue (extreme weight loss) my first semester of classes, and ended up having to take my first two semesters off as a leave of absence while I worked to gain weight and then had surgery. Beyond that, I have talked about how important time management is, and I honestly cannot stress that enough. I have to constantly remember that this is temporary - that if I have to say no to something fun, that I won't be in school forever. It helps that I really do enjoy what I'm studying, and can see how it will help me in my current job and future career. I also think I'm a much better student than I was at 21 years old! I am much more alert and engaged in class, and much more willing to put in the time to do the assignments/readings/extra work. I am so glad that I took time off before going back - I think that the shift in perspective and real-life experiences are really beneficial! Let me know in the comments if you've had a similar experience, or if you're thinking about going back to school. Or if you'd rather, you can send me an e-mail at theheatherreportblog@gmail.com.